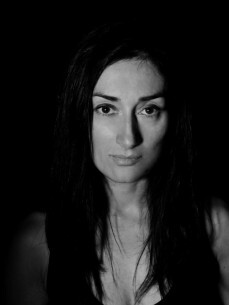 Paula Temple is a British DJ, producer and music technology pioneer. A self-confessed Noisician, Paula Temple arrived in 2013 with the monumental ‘Colonized’ on R&S Records and ‘Human Drama’ remix for Planningtorock. 2014 brings ‘Deathvox’, the second awe-inspiring EP for R&S Records, alongside ‘Spheres’ new release for Noise Manifesto and remixes for The Knife, Perera Elsewhere and Knox on Boys Noize Records. Such refreshing high-voltage output is rapidly placing Paula Temple at the forefront of new techno. Previous release ‘Speck of The Future’ appears on Jeff Mill’s Exhibitionist album and techno vanguard Chris McCormack’s Materials label. In her early days, Paula Temple co-developed the innovative live performance midi controller MXF8, one of the first of its kind, which she took on the ‘Mind and Machine’ tour for three years. Paula Temple’s in demand hybrid DJ/live sets sees her playing nonstop all over Europe and in Berlin at Berghain, Stattbad, Tresor and Gegen. Her performance at Buka in Milan was Resident Advisor’s Mix of the Day.